While some filmmakers like to do their work deep within a mystery box, director Bryan Singer has been generous and forthcoming in teasing glimpses of his in-production X-Men: Days of Future Past. He’s given us looks at his stars in costume, setups for action sequences, and even a look at a full-sized sentinel. 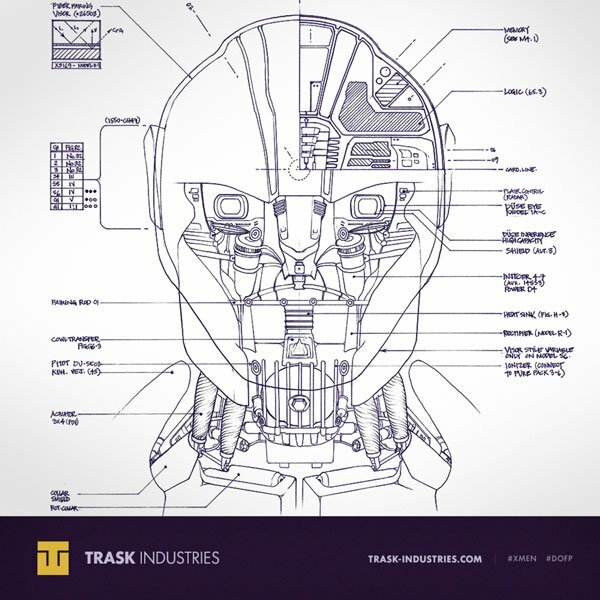 But with the launching of the viral promo site Trask-Industries.com, Twentieth Century Fox is revealing a whole new array of sentinel images for fans to drool over, chief among them is the one above. Coming Soon tipped us to this blue print, which if you click you can see in greater detail. 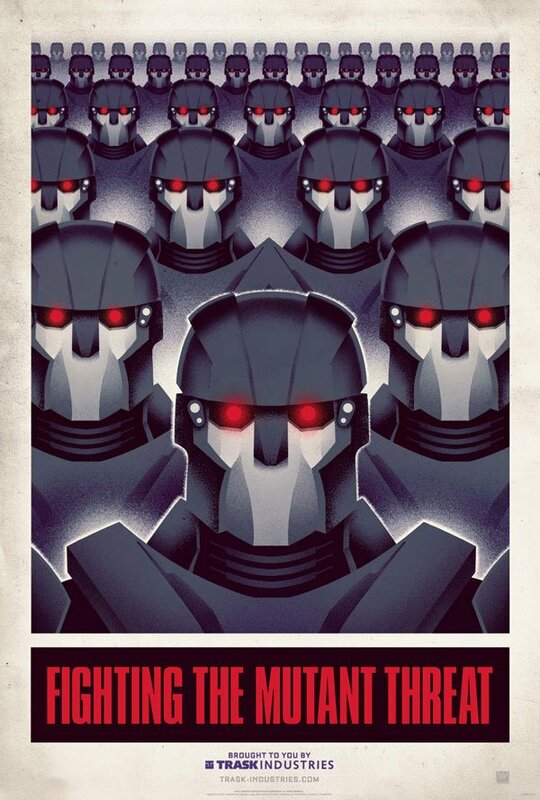 While I’m not especially well versed in robotics, it is clear this gives us a look inside the heads of the movie’s menacing mutant-hunting machines known as The Sentinels. Having developed such a rich world over the course of its past six films—that include X-Men, X2, X-Men: The Last Stand, X-Men Origins: Wolverine, X-Men: First Class and The Wolverine--Fox is making a clever move to capitalize on this world-building with a site that allows fans to investigate Bolivar Trask and his work without risking major spoilers for X-Men: Days of Future Past. It’s an effort that reminds me of their engaging “David” promo for Prometheus. With film narratives growing beyond the boundaries of a single film, it’s an obvious yet smart move for studios to take advantage of the internet to allow fans access to these “worlds” with intriguing content that may not be key to understanding the film, but definitely makes its story richer. Sentinels were first mentioned in connection with the latest X-Men adventure by Mark Millar in the fall of 2012. This suggested that Bolivar Trask—a character from the comics who is credited with creating these giant genocide bots—would likewise appear in the film. This assumption was cemented after Singer tweeted a pic of Peter Dinklage sporting a seriously brawny mustache, bringing to an end months of speculation over who the Game of Thrones star would play. As Trask, Dinklage will essentially be the villain in Days of Future Past, as his dedication to driving mutants out of existence forces Magneto’s misfits and the X-Men to join forces to save their race from extinction. X-Men: Days of Future Past will hit theaters on May 23rd, 2014.